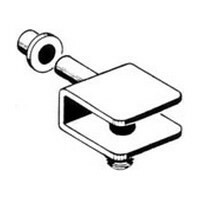 Accommodates glass shelf thickness of 3/16" to 1/4"
Does this item come with the 3/8" plastic bushings? BEST ANSWER: It does not come with the plastic bushings. It does not come with the plastic bushings.